There's a common misconception in Canada that aboriginal people don't pay taxes, but, in fact, tax exemption applies to fewer than half of aboriginal Canadians — and even they have to have very specific work and living arrangements to benefit from it. Misunderstandings about aboriginal people and taxes "absolutely" exist — even among First Nations themselves, says Manny Jules, chair of the First Nations Tax Commission. Where do tax dollars go when they leave your wallet? "[Non-First Nations people] feel that no status Indian pays anything in terms of tax," he said. "People do pay taxes — excise tax, income tax, sales tax — all of those." Only some status Indians are exempt from paying taxes, and even then, it's in very specific situations. First Nations people who are recognized as status Indians under Section 6 of the Indian Act may be eligible for some tax exemptions. The act has existed since 1876 and initially conferred Indian status on male members of certain bands, their children and their wives. Later amendments extended it to others who may have lost it over subsequent generations — women who married non-status men and their children, for example. 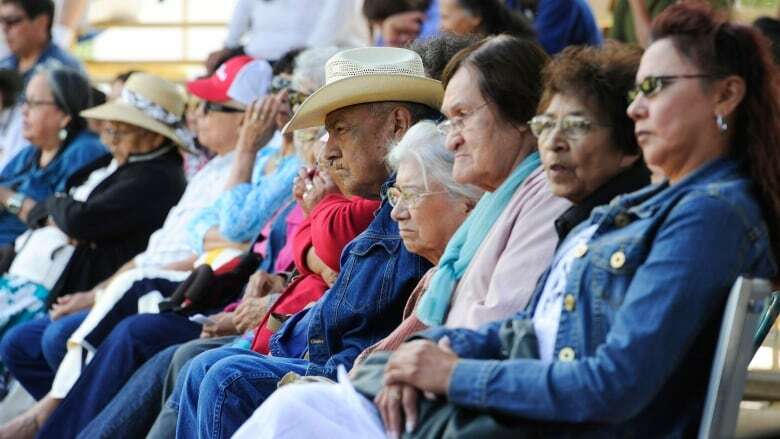 In 2011, there were 637,660 registered status Indians, or slightly over 45 per cent of aboriginal people living in Canada, according to Statistics Canada. But that doesn't mean all of them are living tax-free. Most exemptions on income, sales and property tax apply only to status Indians living or working on reserves — or both. In 2011, less than half of all registered status Indians, or about 314,000 people, lived on reserve, according to Statistics Canada. "It is definitely a myth," says Chief Darcy Bear of the notion that aboriginal people don't pay taxes. Aboriginal people who make a living from fishing have to factor in where they fish and where they sell their catch when figuring out whether they have to pay income tax. (Jacques Boissinot/Canadian Press)Bear is chief of the 550 people living on Whitecap Dakota First Nation near Saskatoon. He says even the status Indians who don't pay federal and provincial taxes on income end up getting taxed in other ways. Anyone not eligible to be or not registered as a status Indian follows the same tax rules as all other Canadians. ​In 2011, that amounted to about 55 per cent of the 1.4 million aboriginal people in Canada. Inuit and Métis people are also excluded from the Indian Register and are regular taxpayers. Income earned on a reserve (including income from employment or investment). Property located on a reserve. When status Indians purchase goods on a reserve, they also often do not pay GST or HST. If they buy something off reserve but have it delivered to the reserve, the GST and HST exemption still applies. Status Indians living on remote reserves may be allowed to get the GST and HST exemption for goods they bring back to the reserve. Some provinces allow partial HST rebates for certain goods purchased off reserves. But Bear points out that often, it simply doesn't make financial sense to use the sales tax exemptions. There are no large shopping centres on Whitecap Dakota First Nation, for example, so residents often travel about 20 minutes into downtown Saskatoon to shop, he says. Buying something like a pair of jeans and paying for delivery will cost residents more than opting to pay the GST/HST and bringing the item back themselves. "We're paying tax all the time," he said. Is it really that cut and dry? A status Indian living and working on a reserve is "a slam dunk" for tax exemption, says Bruce Hurst, a certified general accountant with RHN, an accounting firm that works with First Nations in B.C. 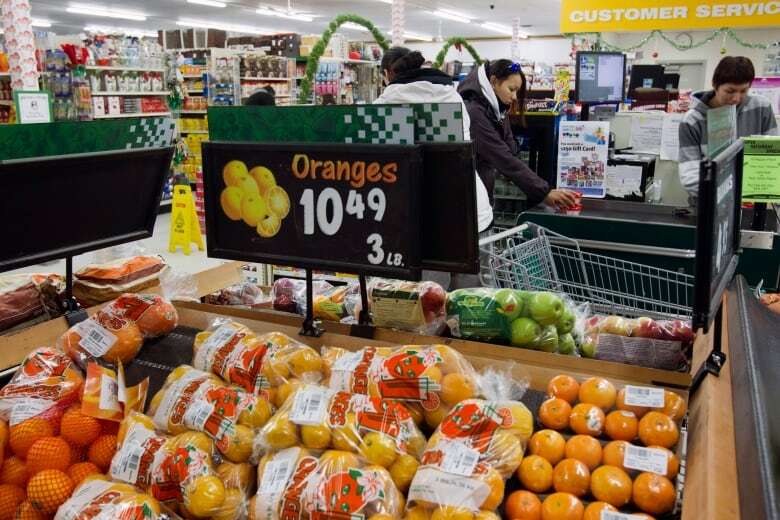 Oranges for sale at a store on the Attawapiskat First Nations reserve in northern Ontario. Most goods bought on reserve are exempt from tax, but a few First Nations have introduced their own goods and services tax. (Frank Gunn/Pool/Reuters)"That's kind of your starting point," he says. But individuals and businesses who have more complicated situations and might qualify for tax exemption must determine how much of their income-earning activity happens on reserve and how much happens elsewhere. "Oftentimes, that's a bit of a grey area," said Hurst. Where the business or person carries out revenue-generating activities. Where its customers are located. Whether or not an office or books and records are kept on a reserve. 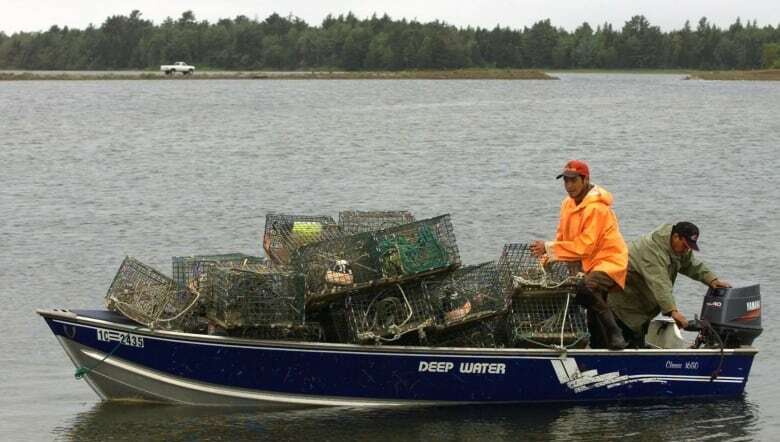 Taxes on income earned by fishermen, for example, can be tricky, says Hurst, because where individuals fish and where they sell their catch is important, but they frequently work in waters that can be difficult to classify. "If that's their traditional fishing grounds, there's a possibility that, that would be considered to be exempt," he said. 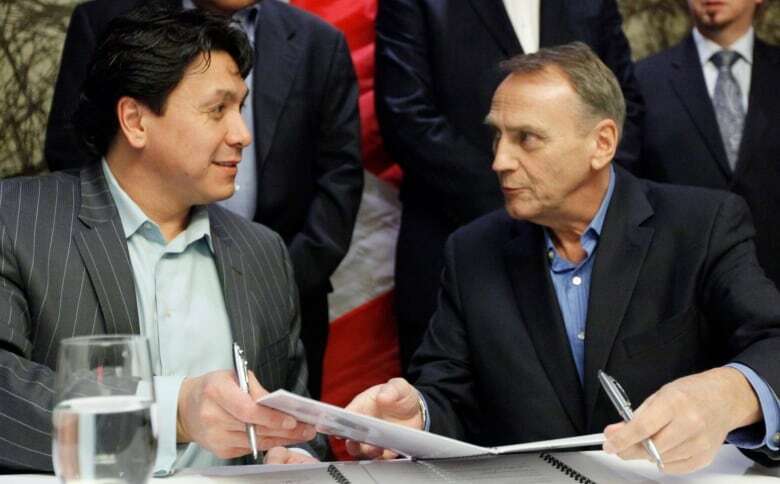 Chief Darcy Bear, left, of the Whitecap Dakota First Nation in Saskatchewan, pictured with then minister of aboriginal affairs John Duncan. Bear's community is one of several that have imposed their own tax systems. (Fred Chartrand/The Canadian Press)Farmers are in a similar situation, with tax officials scrutinizing where they grow and harvest crops, keep cattle or milk dairy cows. If some business activities occur on reserve and some off reserve, the tax exemption for income and business expenses may be prorated. Status Indians and businesses are also not exempt from paying excise taxes and duties on certain manufactured products. For example, Grand River Enterprises, a company making cigarettes on Six Nations of the Grand River land near Brantford, Ont., pays about $160 million annually in excise duties, said Jules. What about tax credits and benefits? Status Indians or couples with tax-exempt income may still be eligible for some of the same tax credits and benefits as taxpayers. In order to qualify for benefits such as the Canada Child Tax Benefit, tax-exempt individuals must still file a tax return, Hurst said, and declare their income under a section labelled: "Indian (exempt income) — Employment." Hurst said one of his First Nations clients earns tax-exempt income on reserve but is married to a non-First Nations man who works off reserve. On their income tax return, they declare his income for tax purposes but include her income in the special section. "It might be exempt income for tax purposes, but it would be classified as working income for the purpose of calculating all these other tax credits," Hurst said. The CRA points out that the Supreme Court of Canada emphasized in a 1990 decision that tax exemption for First Nations serves in part to protect aboriginal land and "to make sure tax does not erode the use of Indian property on reserves." How does native funding work? It is not meant"to help remedy the economically disadvantaged position of aboriginal people in Canada or bring economic benefits to them," the CRA says, paraphrasing the decision known as Mitchell vs. Peguis Indian Band. The tax exemptions on property, in particular — which, the court points out, de facto date back to the Royal Proclamation of 1763 — exist "so that lands couldn't be lost by Indian people ... through forfeitures, tax sales, those kinds of things," Jules said. When it comes to income, the exemption is also owing in part to the fact that, historically, aboriginal people were considered wards of the state. "Income taxes didn't apply because, generally, you don't tax people that are not your citizens," Jules said. Just because some status Indians don't pay federal and provincial income taxes doesn't mean they pay zero tax. There are more than 600 bands in Canada, and some reserves levy their own taxes on residents. Bear says those communities are following in the tradition of the "sharing model" that's always been a part of First Nations culture. "If your best hunter killed 10 buffalo, he doesn't eat 10 buffalo himself. He shares with the whole community," he said. Not only hunters participated in this kind of exchange — everybody had a gift to contribute, Bears says, such as making clothing or sharing their wisdom. 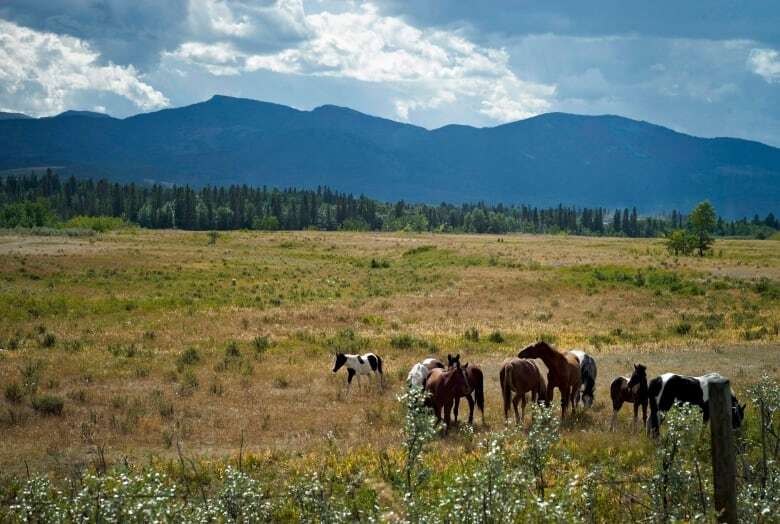 Horses graze on the Eden Valley reserve in Alberta. Tax exemptions for First Nations came about in part as a way to prevent the sell-off and forfeiture of traditional aboriginal lands. (Jeff McIntosh/ Canadian Press)Today, that sharing model takes the form of special tax systems on some reserves, including Whitecap Dakota First Nation, which has implemented a variety of different taxes that status and non-status Indians must pay on reserve. The First Nations Tax Commission helps band governments develop property tax regimes. More than 150 First Nations have implemented property taxes on reserves, bringing in $70 million annually, according to the FNTC. First Nations use the revenue to build schools, roads and other infrastructure, says Jules, and to help pay for elder care and education. The Whitecap Dakota First Nation has charged a property tax for about a decade, says Bear. Some of the revenue pays for language and culture programs. Bear says it's important for the First Nation to generate income so it can invest in its No. 1 resource: its people. Eight reserves charge a five per cent First Nations sales tax on alcohol, fuel and/or tobacco bought on their land, according to the CRA. Twenty-six First Nations, including Whitecap Dakota First Nation, have implemented a five per cent First Nations goods and services tax on products bought on reserves. Fourteen self-governing aboriginal communities, which have entered into agreements with the federal government to no longer be governed by the Indian Act, have imposed a First Nations personal income tax, generating about $18 million annually, according to the CRA. "In a lot of cases, you know, the First Nations individuals are now becoming mainstream taxpayers as a result," said Hurst.